A dining room is not just about your table and chairs. It’s important that we consider the room itself and how we layout the furniture. So, with this in mind, here’s everything you should consider so that your dining room is a great feature of your Melbourne home. How big is the room and is it a room on its own or is it an extending room from a living space? If it is the typical Federal-styled Melbourne home, then more than likely, it’s on its own. Ample space can afford a large dining room in which you can create more classical aspects of this traditional style. Other styles, such as those that are extended, may not need to be so decadent. Ultimately, the size of your dining room will determine what size and shape of furniture you will be able to add. There are a number of add-ons you can include. For instance, a chandelier or hanging light overlooking the table and the diners makes for an elegant and timeless feature. Side-table trays and ornamental decorations also fill the dining room with a standout feature, and a carpet under the dining room table will certainly bring the room together with a more intimate feel. The standard eight-seater rectangular style usually seats three people on either side and one at each head. However, not all Melbourne family homes are large enough to support an eight-seater, but a six-seater can also work well. It really depends on how often you like to entertain, and the size of your space, which will also dictate the shape of your table. For example, round tables may work better in smaller areas, and can also set the scene for excellent interactions and conversations. There are two important reasons we focus on chairs alone! First, elegant-looking chairs with long backs are just that, elegant-looking. Second, comfort might be an essential element for you and your guests. If so, then good cushioning is paramount, both the seat itself and the backrest. And the look itself. New fashion speaks loudly about the mix-matching of chairs. It can be completely different to the table design, or each chair could even have a different style or colour, and can certainly become a focal point in your home. With these tips in mind, you can be sure to create the dining room that’s perfect for your Melbourne home – one in which you can dine and entertain, and will most definitely add value to your home. 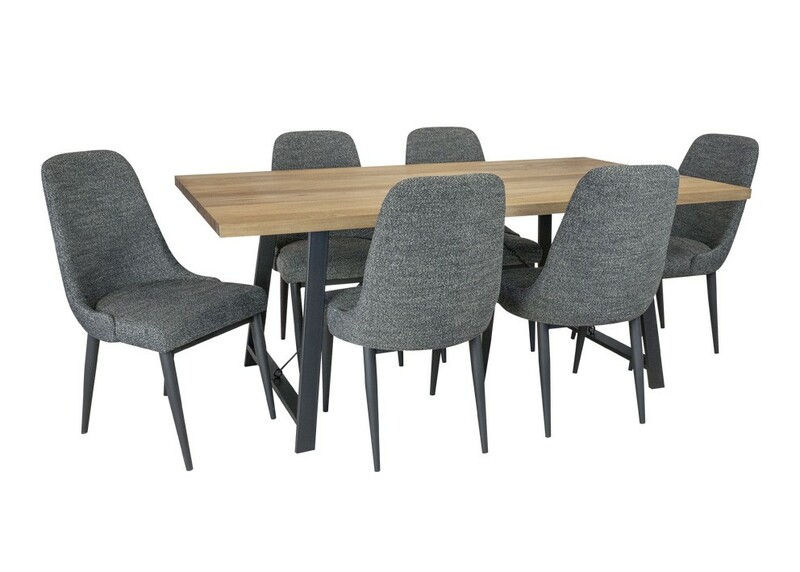 If you’re curious to find out what other hidden gems there are that you may not be aware of, view their range here of Australia’s most renowned furniture stores, Furniture Galore.